As scary as it sounds, climate change is here and it is changing the world as we know it right before our eyes. From the severe drought here in California to the flooding in Florida and the intense storms in Louisiana, climate change has become very apparent. Climate change affects our environment, economy, our health, and society in general. Climate change is also something that is not going to be short-term. Climate change will continue for years to come. So, what is the answer? The answer is simple. "Go solar now, protect the environment protect the future!" This page has been dedicated to climate change and its impact, and to demonstrate of how going solar can change our way of life. Climate change is a change in the usual weather found in a place. This could be a change in how much rain a place usually gets in a year. It could also be a fluctuation in temperatures for a month even a entire season. Unlike the weather that can change in a matter of hours, climate change has taken hundreds of years to change and is having a big affect on our environment as a whole. So what kind of energy do you want to use? Do you want to do your part to save our environment? Coal is mined in two different ways depending on where it is; opencast (surface) or deep underground. Oil and natural gas are extracted by drilling into underground reservoirs. In able to get as much fuel out of the ground as possible, steam, chemicals and gases must also be injected into the soil so that it flows freely. Obtaining solar energy is much easier. 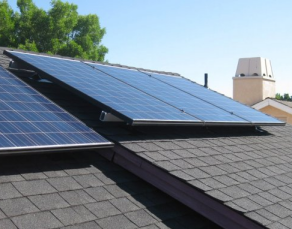 Solar panels can be installed just about anywhere; on a piece of land, in carports, rooftops, the wings of planes, in cars and can even replace windowpanes. Wherever we can access sunlight, we can access solar. Free, naturally from the sun causing no damage underground or to our environment. Unfortunately, most of our energy comes from burning fuels that will release harmful emissions which stays in our atmosphere for thousands of years. On the other hand, solar cells do not release any emissions. However, there is a slight emission release during the manufacturing, transportation, installation and maintenance of solar panels the number is still insignificant compared to fossil fuels. Did you know that 41% of all freshwater withdrawals were for thermoelectric power operations? According to the NREL, this number is approximately 550 to 50,000 gallons of water during a normal day. Solar panels do not require the use of generated electricity and it is estimated that just two thirds of a cup of water per megawatt hour is actually used to clean solar panels. We all know fossil fuel prices have a tendency fluctuate. For example, in 2004, the price for gasoline was approximately $1.50. In 2008, that number jumped to over $4. Eight years later that number is down to $2.24. These numbers make it that hard to predict how much we will be paying at the gas pump. According to the Solar Energy Industries Association, installing solar has increased more than 70% over the last 10 years. In addition, solar panel users can lock-in electricity prices and once panels are paid for, it is almost free. According to Gilbert Masters, a professor at Stanford, he states that our global oil supplies will only last another 41 years, making it essential that we have an alternative energy resource. Unlike fossil fuels, there is no controversy over who controls our resources, on solar is a "neighborhood" full of resource. According to the United States Department of Energy, the U.S. has just enough natural gas to last another 84 years. These numbers tend to fluctuate as we do continue to find new sources. Some state 40 to 50 years, other state 110 years. As long as the sun exists, solar and that other forms of renewable energy will have a vast abundancy. Unfortunately, new sources of fossil fuels are becoming even harder to find. The good news is that new and more innovative methods including thermal gas and other chemicals are being utilized. The technology of solar is continuing to improve. This means that efficiency rates and the cost per watt will continue to fall. Did you know that power outages cost our economy approximately $80 billion a year? In addition, power outages endanger public safety and health of our people. Ironically, according to the National Research Council, one way to prevent the increase in power outages is to develop a stronger distributed generation network, hence, "Go Solar." While electricity is being generated by fossil fuel 24 hours a day, seven days a week, our aging distribution network and volatile weather patterns have a tendency to lead to more power outages. Even though the sun is not always shining due to storms, night-time, and shade from trees and buildings the technology of batteries is still making solar the obvious choice whether the sun is shining or not. Did you know that in 2012 and 2013, sadly 336 people lost their lives from working in the mining fields? Other health hazards caused by fossil fuels include contaminated water, land and air, which lead to respiratory, cardiovascular problems. In addition, let's not forget the results of a massive oil spill. The risks are minimal going solar. For example, birds and insects confuse the shiny surfaces of solar panels with water sources and birds in it hurt or dead as a crash in the panels. As of 2015, according to the EIA, Canada, Saudi Arabia, Venezuela, Mexico and Columbia were of the top sources for our United States petroleum. This makes the United States dependent on other countries for much more than just an energy source. If the entire country went solar, the United States could single-handedly supply much of its own electricity. According to the NREL, it would take just .6% of America's total land area to supply our country with its own electricity. Especially in disadvantaged neighborhoods that have power plants nearby, fossil fuels emit pollution that is harmful to the air and water. The biggest benefit of solar and other renewable resources is that it does not pollute the environment and has minimal impacts on public health and safety. Even though is the largest primary energy source in the United States, it is the dirtiest. 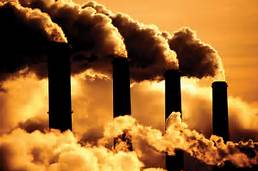 As of 2012, coal was responsible for 24.5% of the United States total greenhouse gas emissions. On the other hand, solar and other forms of renewable energy are gaining popularity. Due to climate change, clean renewable energy resources are the future. As you can see, solar energy may be our solution for today and tomorrow. Though change is sometimes difficult, solar affects everyone. The changes you will make today will affect your children, your grandchildren and generations for years to come. We hope this page has provided some insight and allowed you to how climate change has impacted our country and our planet. 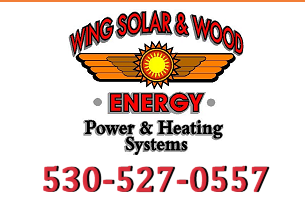 Contact Wing Solar & Wood Energy, Inc. today to help you make a possitive impact on our environment with solar energy.